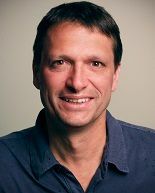 The Library’s Board of Trustees is pleased to announce that Erich Reed will begin work as our new Director on June 18. Reed has been the Librarian at George Stevens Academy in Blue Hill for twelve years. Prior to that, he was Assistant Director at the Blue Hill Public Library. He holds a Masters in Library Science from Dalhousie University and a B.A. in American Studies from Brandeis University. He moved to Mount Desert Island with his family several years ago. Please come to the Library to meet Erich and welcome him to the community! Welcome to new Chamber member, Island Housing Trust! Island Housing Trust, formerly known as the Mount Desert Community Trust, was founded in 1989 as the Mount Desert Development Trust, based in the Town of Mount Desert. As the Mount Desert Community Trust, the organization completed one workforce housing project through a 99-year lease on a town-owned piece of land off Route 198 in Mount Desert in 1994 and then was inactive for a number of years. In 2003, following the second MDI Tomorrow initiative, the Mount Desert Community Trust’s Board of Directors was reconstituted and the organization’s mission expanded to include all four towns on MDI. In 2005, the organization’s name was changed to Island Housing Trust to reflect that expanded mission. Through January 2018, Island Housing Trust had completed 36 homeownership projects for 111 adults and children on Mount Desert Island since 2008. Among these are 9 new, energy-efficient houses at IHT's Ripples Hill workforce housing development in Somesville, 15 Homeownership Assistance Program (HOAP) projects in which IHT provided bridge grants to enable qualified applicants to purchase year-round houses on MDI, four houses in the Sabah Woods workforce housing development in the Thomas Bay area of Bar Harbor, a donated 2.4 parcel of land in Somesville that became the site of a single-family residence, and a partnership project with Maine Coast Heritage Trust that enabled a couple qualified by IHT to purchase a three-bedroom home on Route 3 in Bar Harbor as their year-round home. Including among the 36 homeownership projects completed by IHT over the past eight-plus years are six successful re-sales of residential properties that carried IHT’s affordability covenants and thus were resold at below market-rate to qualified working families and individuals. Bar Harbor Bank & Trust’s 25th Annual David R. Harding Memorial Golf Tournament will benefit Island Housing Trust. The golf tournament will be played on Tuesday, June 5, 2018 at Kebo Valley Golf Club in Bar Harbor. For more information, call Nataleigh Flint at Bar Harbor Bank & Trust 667-0660 x11022. “IHT is so pleased to have been chosen as the beneficiary of Bar Harbor Bank and Trust's annual Harding Memorial Golf Tournament fundraiser. The honor is a special measure of community support for our mission. We look forward to using the proceeds to provide another housing opportunity for a year-round working individual or family on MDI,” said Alison Beane, Executive Director at Island Housing Trust. Photo cutline: (left to right) Mark Politte, Owner of Stanley Scooters, Lisa Parsons of Bar Harbor Bank & Trust, Alison Beane, Executive Director of Island Housing Trust, Debbie Mitchell-Dow of Bar Harbor Bank & Trust, and Tom Wheeler, Sales Manager at Darling’s Auto Mall gather at Kebo Valley Golf Club in Bar Harbor. 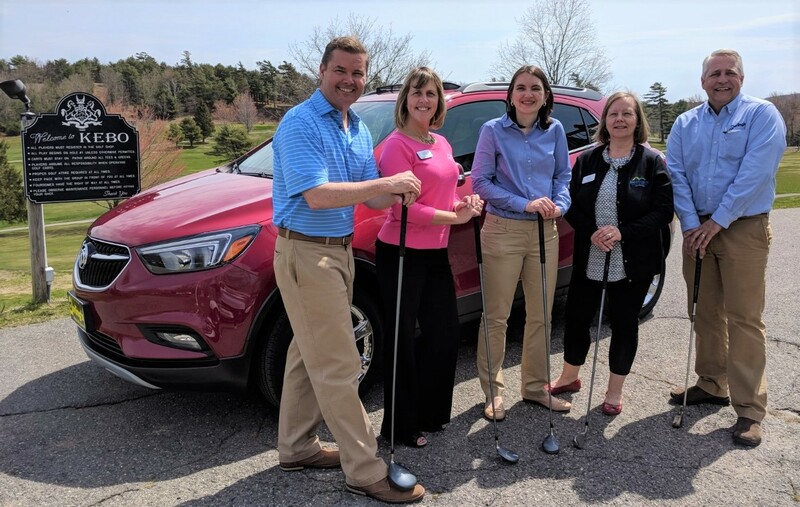 Bar Harbor Bank & Trust’s 25th Annual David R. Harding Memorial Golf Tournament is being played at Kebo on June 5, 2018 to benefit the Island Housing Trust. There will be two hole-in-one contests where the prizes are a new Vespa Scooter from Stanley Scooters and a 2018 Buick Encore from Darling’s! For more information and to register call 667-7100.